Grand Central Bar and Grill - Suiting up feels nice sometimes — Food. Tech. Fundas. Located in one of the most premium malls of Hong Kong, Grand Central Bar and Grill with its dual floors is quite warm and welcoming. The great part is that the tables aren't located too close and this allows groups to chat in peace. In terms of aesthetic it is very much a throwback to what I would expect from a regular bar and grill, nothing too special with the large bar area, tall ceilings and brown interiors. Nothing to write home about but makes one feel comfortable nonetheless. We started dinner off by ordering a Spinach and Feta dip which is served along with Pita Triangles to dip into the oozy gooey goodness. While the pita bread triangles could have been a bit fresher, the dip with its gooey cheese and spinach shining through had me going back for more all the time. For the Main Course we decided to go for the Spinach and Goat Cheese risotto which looked extremely pretty piled high with Arugula and dollops of goats cheese. Looks can be deceiving though and the risotto held within it some gnarly pieces of onion. Now the intention might have been to caramelize the onions to give a bit of sweetness to the risotto to round out the creaminess from the goats cheese and the bitterness of the Arugula. The onions however were far from being caramelized and actually stood out from the dish in a not so nice way. Maybe this is a one off though so I may or may not try this out the next time around. The portobello burger looked pretty interesting though and might just be my pick. Keeping us company along with the main course was a portion of fries and a mac and cheese which were great to share around. Nothing extraordinary about them but they were great fillers nonetheless. To round out the meal we decided to throw all those New Years resolutions out the window and indulge in a chocolate fondant cake which was a warm chocolatey delight topped with vanilla icecream to bring an added layer of richness. 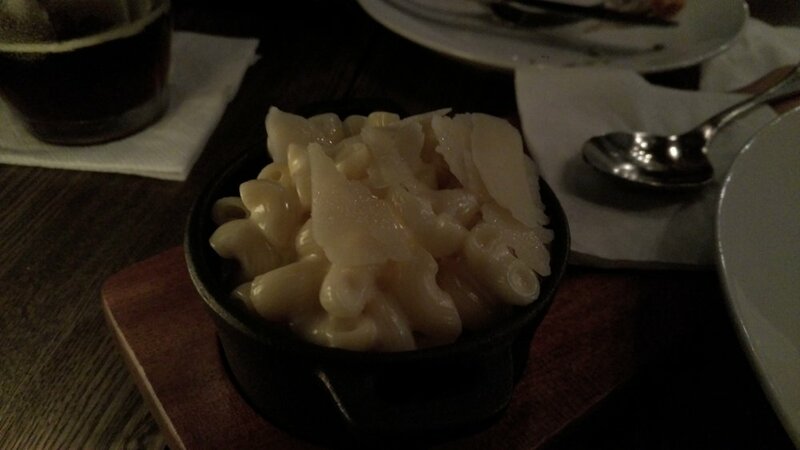 It was the perfect dish to scoop into between snippets of conversation while ending our meal. The service was on point and despite me wondering at time whether they heard our order got our food and drinks quickly and efficiently. I was actually stunned by how quick the service was. Though I'm not sure how much that had to do with time feeling like it was passing more quickly through conversation or the service being genuinely quick. I would definitely recommend checking out this restaurant with the lively Civic Square to keep you company.